Welcome to my first gift guide! So excited to start this series for the holidays! I’ve started out with a guide that I know best: girly girl gift ideas. Sometimes, girly girls can be harder to shop for because they tend to be the kinda girl who already has everything. I’ve found some cute and unique items with a personal touch that will be sure to wow with lots of pink and, of course, a monogram. I love anything with pink, sparkles, and leopard, so this gift guide was right up my ally! And I love finding items that normally wouldn’t be on someone’s Christmas list, but you know it would be something that they love. The best gifts are complete surprises! 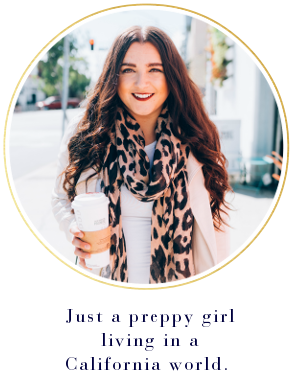 Pro tip: You can shop these Girly Girl gift ideas by clicking on the items in the photo! It will send you directly where to buy it. Loving these gift ideas? Click here now for more Girly Girl favorites! !